An iconic Dublin pub is to become the city’s latest theatre venue next week when it stages its first ever theatre performance. Doyle’s on College Street will play host to Firedoor Theatre’s new production Paint from Wednesday, March 21 to Saturday, March 24. 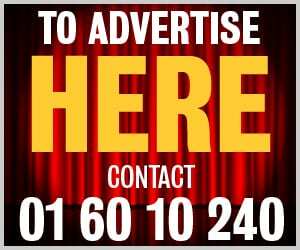 Firedoor were founded in the city centre five years ago and have primarily focussed on producing original work which has been staged in various venues across the city. 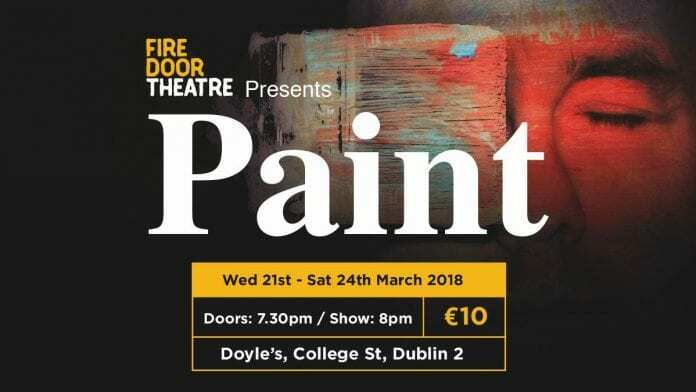 Artistic director Shaun Elebert, who also stars in Paint, told Dublin Gazette that encouraging new work is a big part of Firedoor’s ethos. “As a company what we’re trying to do is promote new work as well as training actors and giving people opportunities to direct as well,” he said. “So, it’s kind of covering all aspects of theatre, not just the performance end of it. Our writing has been quite progressive. Shaun added that he is very excited about being part of the first ever theatrical performance in Doyle’s. “The manager Niamh, I was talking to her about maybe putting on plays in Doyle’s and she was very excited about that, to actually open up Doyle’s as not just a music venue but a theatre venue,” he said. Paint is a character-driven story about two men who meet up late one night under unusual circumstances. “One lad is painting a wall at three o’clock in the morning in an industrial estate and he does this quite often because there’s something gone on in his life, something that has happened,” said Shaun. “His wife has passed away but we don’t know whether it’s connected to his wife or not. “We assume that it is but he’s out there painting the wall just to gather his thoughts as maybe redemption or something for something that he’s done already. “Then this other lad comes, who is meeting another guy at three o’clock in the morning to do a delivery but he never turns up. Firedoor have more exciting productions later in the year, including a show in Smock Alley Theatre. The group regularly hold auditions for new members.